Youth Media Minds of America (YMMA) has created a public service announcement to help increase the awareness of Childhood Obesity and demonstration the hard times some children encounter when trying to be active. As a 501(c)3, non-profit, youth-based organization that provides audio and video production training to underprivileged and underserved youths, YMMA felt the need to produce this video to publicize the risks surrounding obesity and offer ways children may overcome weight challenges. YMMA’s Childhood Obesity PSA stars four young children, three of which are playing with each other, but the fourth (main character) has been left out and is too discouraged to play outside with the other neighborhood kids. The students of YMMA produced the video with the help of their lead instructor and organization founder, Roy Gipson. The idea, script, scene selection, etc. all came from the minds of our young students, as YMMA encourages the youth to use their newly learned skills in audio and video production to become responsible media leaders of the future. 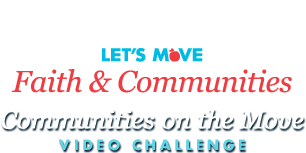 The students of YMMA wish to use this video to encourage both children and adults to be ACTIVE parts of the “Let’s Move!” crusade by making sure EVERYONE is included and invited to partake in fun, physical activities so that we may ALL lead healthy and physically fit lives! 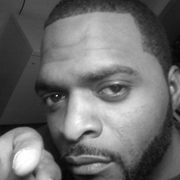 Let's get on the move, and support our youth!!!!! So sad! Wish it ended with someone dragging the kid to move with them saying that they are fat too and they are doing something positive toward success. YMMA you did a good job on this PSA. Keepthe movement going. Our people need to be educated on obesity. And this PSA is about grown folk too.